This Sunday, February 19th at 2 p.m., a variety of local musicians will perform in a casual atmosphere at the Lincoln City Cultural Center. Cape Foulweather Coffee will provide complimentary drinks and pastries for all who attend. Guests are merely asked to give a modest donation of whatever amount they can afford, so stop by and enjoy the show! If you’re in the area this Thursday, February 23rd – Sunday, February 26th, make sure to find your way to the Newport Seafood and Wine Festival at the South Beach marina in nearby Newport. This 21+ event will feature more than 150 of the best wines from the Pacific Northwest alongside culinary delights and fine art from some of the area’s best artisans. Book your tickets online now at seafoodandwine.com. Upcoming beachcombing clinics will take place on Friday, February 24th & Tuesday, March 2nd at 3 p.m. at the Beach Access point on 33rdStreet. Those who attend these free clinics will learn how to discover the best petrified wood, jasper, fossils, gemstones, and agates from the local sea and sand. Visit OregonCoast.org/tide-pool-clinics to learn more. If you love beer you’ll be in your element at Zwickelmania on Saturday, February 25that Rusty Truck Brewing. The 9th annual installment of this popular event will take place from 11 a.m. – 4 p.m. with one of Oregon’s best breweries opening its doors for tours, tastings, prize giveaways, and more. If you’re looking for something more family-friendly, be sure to book one of our Lincoln City rentalsaround Saturday, February 25th or Saturday, March 4th. Kids aged 7-13 will love exploring their creative side at a unique class on these days, which focuses on a different medium and subject each session. Classes take place at the Artists’ Studio Association classroom from 1:30-2:45 or 3-4:15 p.m. Contact Krista Eddy at (541) 992-4292 to register. Runners, joggers, and power-walkers will converge in Lincoln City on Sunday, March 5that 9 a.m. to complete this annual half-marathon or 10k along the beautiful Central Oregon Coast. You must be registered to participate, so visit the Lincoln City Community Center or register online ASAP, and book one of our beach house rentals so you’ll have somewhere to put your feet up afterwards! Just remember, the off-season is where it’s at if you’re looking for the best deals, fun activities, and less crowded beaches. You’ll also find an amazing selection of beach rentals to call home for your stay. If you’re not sure what to do for Valentine’s Day, why not book one of our Lincoln City beach rentals and enjoy a romantic getaway along the Central Oregon Coast? There are plenty of great places to stay and fun things to do on Valentine’s Weekend and February 14thitself. Here are a few suggestions for the most romantic Lincoln City rentals and a few activities to keep you and your valentine busy. 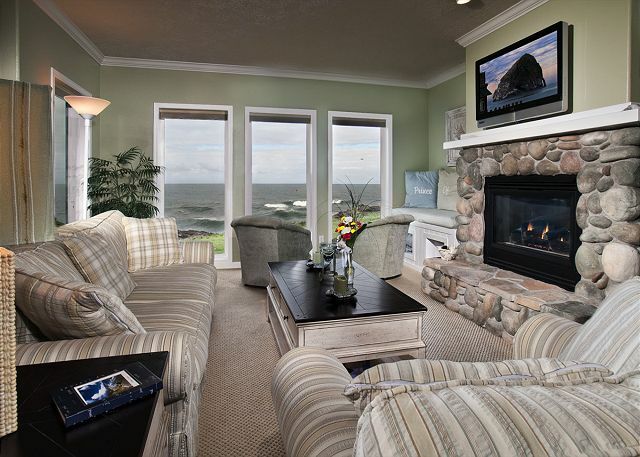 Miracles – This beautiful condo is one of the best Lincoln City vacation rentalsfor lovers. 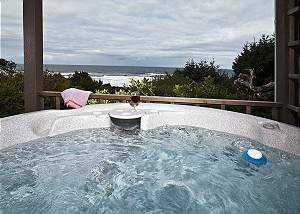 The Miracles vacation rental home offers a two-person hot tub with a panoramic ocean views, and provides visiting couples with access to the beach within mere steps of the property’s backdoor. You will find high-end amenities such as a luxurious queen-bed with comfy mattress topper, soft ivory leather couch, 42” flat screen TV, DVD player, wi-fi, board games, well-equipped kitchen, and towels and linens provided. And if you don’t feel like coking, head to The Mist restaurant & lounge right next door for a fun night out. Whispering Winds – If you’re looking for a vacation rental in the heart of the action in downtown Lincoln City, but you don’t want to sacrifice panoramic views of the Pacific Ocean, this condo is for you. You can be close to all the restaurants and shops, and the beach is still only a block away from your backdoor. The rental offers a fully-equipped modern kitchen with gas range and stainless steel appliances, rock fireplace, oceanfront deck, private hot tub, three plasma TVs with DVD players, washer/dryer, and granite counters throughout. The condominium complex also provides access to a fitness center and swimming pool. RSS Royal Pacific – This oceanfront condominium sits in the heart of Depoe Bay, where you can watch the waves crash onto the rocks below and maybe even spot a whale. The RSS Royal Pacific offers two bedrooms with a king-sized bed and queen-sized bed, oceanfront views from the master bedroom, jetted tub, gas fireplace, three flat-screen TVs with DVD players, and hardwood floors throughout the property. 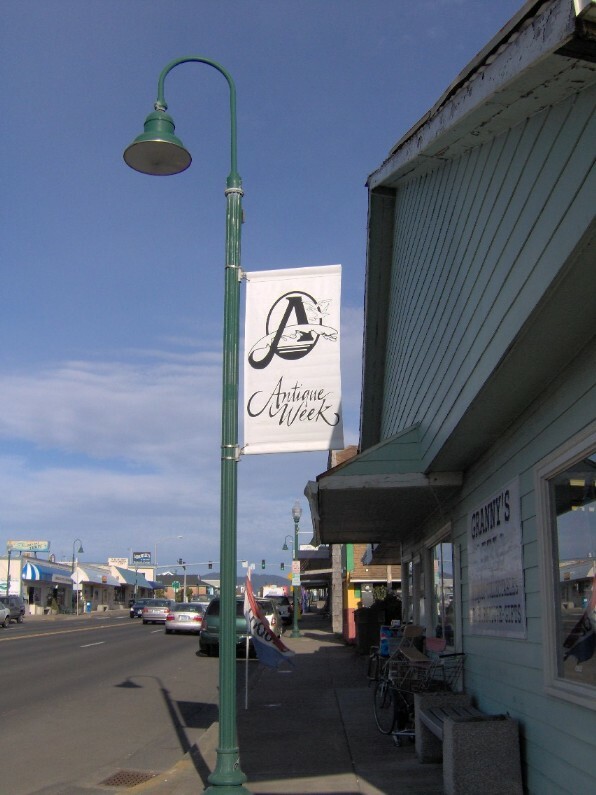 Additional amenities include access to a beach club house with swimming pool and 19-seat theater, and Depoe Bay shops and restaurants such as the Italian Riviera and Tidal Raves Seafood Grill within walking distance. In addition to the beach and local restaurants and shops, you and your Valentine will also find a variety of nearby attractions such as the Chinook Winds Casino and Factory Outlet Mall. If you want to do something really unique this Valentine’s Day or Weekend, though, you might want to plan ahead and organize some romantic activities that you can’t do anywhere else. There will be a Special Valentine’s Day Glass Drop on the beach on Saturday, February 11 and Sunday, February 12, for instance. Imagine taking a romantic walk together as you search for one of 14 heart-shaped paperweights hiding along Lincoln City’s 7½ miles of public beach over the weekend. The Lincoln City Cultural Center will also be hosting a Sweetheart Dance with the Lincoln Pops Big Band from 7-10 p.m. on Saturday, February 11. Don’t delay, though, because now the word is out that Lincoln City is the ideal destination for lovers this Valentine’s Day! 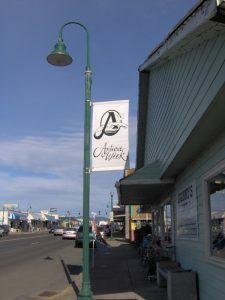 Contact A-1 Beach Rentals and book your Lincoln City vacation rentals today.